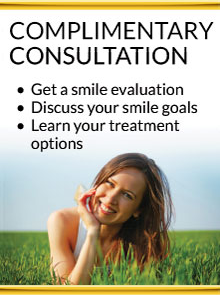 Does Your Cosmetic Dental Work Need a Makeover? 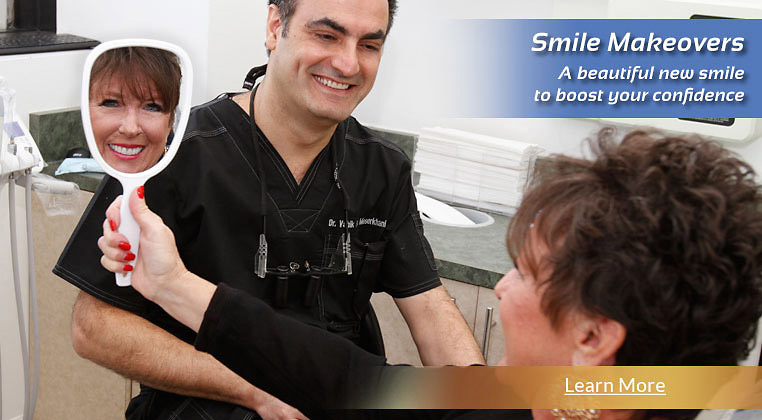 Dr. Meserkhani is skilled and experienced in restoring smiles to full health, function and beauty. Dr. Vahik Paul Meserkhani offers comprehensive, friendly dental care to residents of Glendale, CA and surrounding areas. He provides advanced dental implant services including same day implant and New Teeth in One Day, as well as full-mouth rehabilitation, smile makeovers, porcelain veneers and routine general dentistry. Dr. Meserkhani has put together a highly skilled team of experienced doctors that can help you with the majority of your dental issues, including very complex problems, all under one roof. 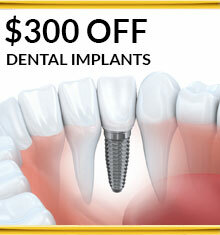 For same day Glendale dental implants, we’ve got you covered! With same-day dental implants, patients can immediately experience the benefits of teeth that act and look like natural teeth. 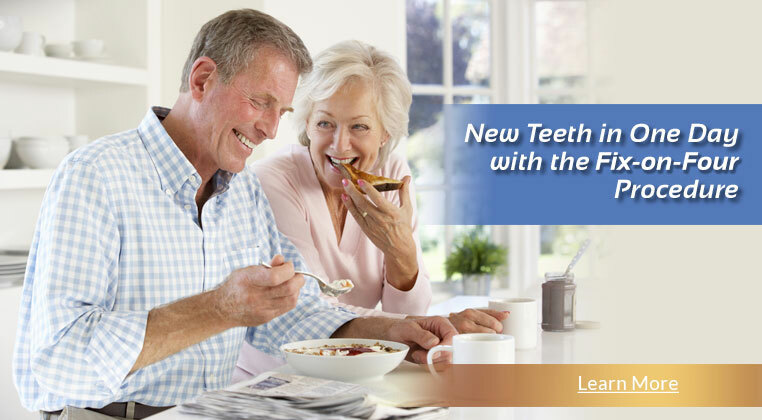 Even people with bone loss from wearing dentures can, in just one visit, have new teeth using Dr. Meserkhani’s revolutionary Fix-on-Four procedure. Dr. Meserkhani is a prosthodontist, a dentist who has taken an additional three years of post-graduate education specializing in the aesthetic restoration of natural teeth and the replacement of missing teeth. In addition, he is one of only 400 dentists awarded a Diplomate by the American Board of Oral Implantology, the most important and difficult certification in dental implant dentistry. Dr. Meserkhani lectures both nationally and internationally on oral implantology, prosthodontics and collaborative dentistry. He has published numerous articles on the replacement and restoration of teeth. He is sought after by other dentists for assistance in treating their complex cases. With his advanced training and years of experience, he has the knowledge to restore any mouth to pain-free, full function, and to give a smile a natural-looking and enduring beauty. Patients needing complex or extensive dental work usually require a variety of treatment procedures, including specialist-type procedures. Patients can get all the treatment they need in the comfort of our office, by Dr. Meserkhani himself or under his expert supervision. Dr. Meserkhani provides highly skilled implant, cosmetic and restorative dentistry for his patients. He partners with Dr. Eric Babyan and associate Dr. Derek Alexanians to accommodate all your dental needs. No matter what your cosmetic needs are, our skilled specialists can help you get the smile you always wanted. Dr. Meserkhani is highly skilled in cosmetic makeovers, and he has been featured on Fox news as a leader in this field. 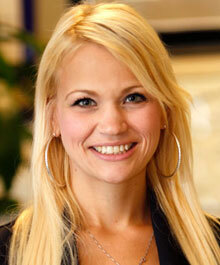 If necessary, Dr. Artin Meserkhani, our orthodontist, can provide you with expert teeth straightening. With our own in-house dental lab and highly skilled technicians at our disposal, our doctors can restore any smile to full beauty. As a prosthodontist, Dr. Meserkhani is a specialist in aesthetic restoration and replacement of teeth. Our state-of-the-art 3D CT scanner provides him with a three-dimensional view of your entire mouth and jaws for precise, accurate treatment planning and minimally invasive treatment. Our in-house dental lab is staffed with highly skilled dental technicians who craft beautiful crowns and other tooth restorations under Dr. Meserkhani’s direct supervision, so that your new smile will not only be fully healthy and functional, but also natural-looking. 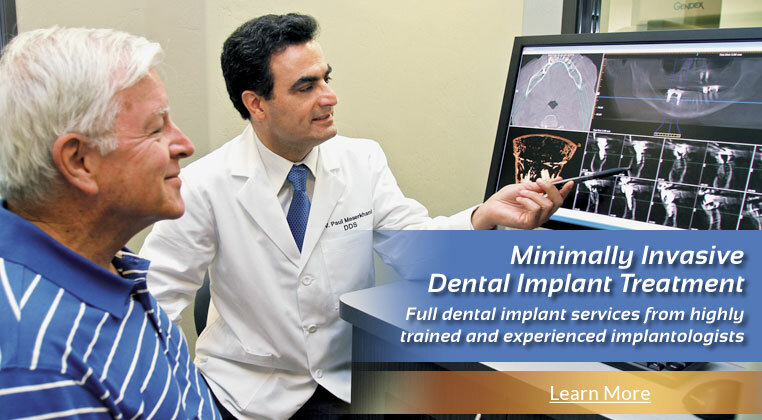 We offer only the best Glendale dental implants. Dr. Meserkhani offers state-of-the-art implant dentistry, using the latest 3D technology for precise planning and minimally invasive treatment. We are able to provide all services you could need as part of your implant treatment under one roof, including any needed bone grafting and extractions. Whether you need one tooth or a full arch of missing teeth replaced, we can restore your smile to full function and beauty with stable, implant-supported solutions. If you need a full arch of teeth replaced, Dr. Meserkhani can provide you with stable, functional replacement teeth in a single day using the breakthrough “Fix-on-Four” procedure. He will perform any necessary extractions and place four implants in your dental arch to support a lifelike, full set of teeth that is permanently fixed in your mouth. Dr. Paul Erwin delivers holistic dentistry to our patients. Combining the best modern technology and practice with traditional healing wisdom, holistic dentistry favors only those procedures that support whole-body health. Holistic dentistry is naturally conservative, minimally invasive and prevention-minded. It is fluoride-free and mercury-free. Straight teeth are essential for an aesthetic smile, but they are also important for a comfortable bite and a healthy jaw joint (TMJ). 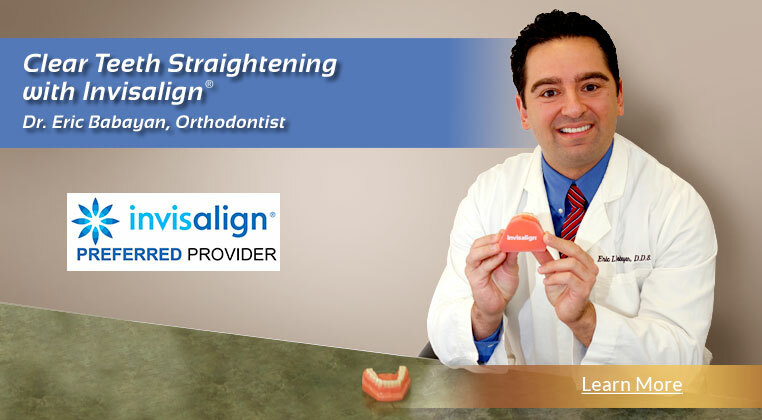 Our orthodontist, Dr. Artin Meserkhani, uses Invisalign® or braces to align your teeth. Receiving extensive dental work can be daunting and we offer a variety of comfort amenities to keep you relaxed. You will also find our doctors and staff very kind and gentle. As well as being an accomplished general and cosmetic dentist, Dr. Derek Alexanians is one of the leading IV sedation dentists in California. For surgical procedures and for anxious patients, we offer all levels of sedation, from oral conscious sedation to general anesthesia. We have our own dental lab, run by our certified dental technician. This means Dr. Meserkhani and Dr. Alexanians can customize the size, shape, color and material of your new crowns, veneers, dental bridges or denture teeth, until you are fully satisfied with your new smile. Our friendly staff and doctors will take good care of you throughout your dental visit and will address any of your concerns. They provide efficient and streamlined service from check in to check out. Before beginning your treatment, Dr. Meserkhani explains procedures in detail, answering any questions you have. He will always take the time to listen to you and make sure you are fully comfortable with your treatment. 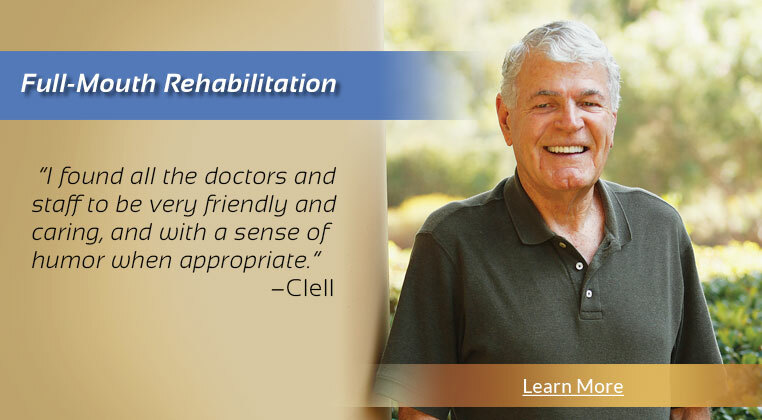 To make an appointment, call (818) 242-4046 or click here to request an appointment online.